As much as you want to play it cool, it always hurts a little bit. It feels like a micro-rejection. You know deep down that unsubscribers just aren’t your people. They’re doing you a favour. You don’t want to be paying for people to be on your list/in your world who aren’t ever going to buy from you. You’ve just got to lovingly release them. Yes, all of that is true, and it helps to get into that mindset. But let me give you two more ways to think about your unsubscribers – neither of which are people who just aren’t vibing with what you’re doing. ✨ 1. Most unsubscribers are still 100% in your world. They’re still in your group. Still seeing your social media posts. Still watching your insta-stories. Still seeing your Facebook ads. You know that whole ‘know, like and trust’ thing? Yeah. None of that goes away overnight just because they’ve unsubscribed. We all get way too many emails. Think of all the people you’ve unsubscribed from just because… ya’know… it’s too much – but you still enjoy seeing their stuff, and you may still buy it. You’ve got your personal email, your business email, maybe your old hotty88@hotmail.com email, and so on. I’ve had current clients seemingly unsubscribe from my list. “Er… did you mean to do that? It’s obvs cool if you did… but… yeah…”. Every single time – it was just another email address. They were still on my list! It was all good! All that stressing for nothing! 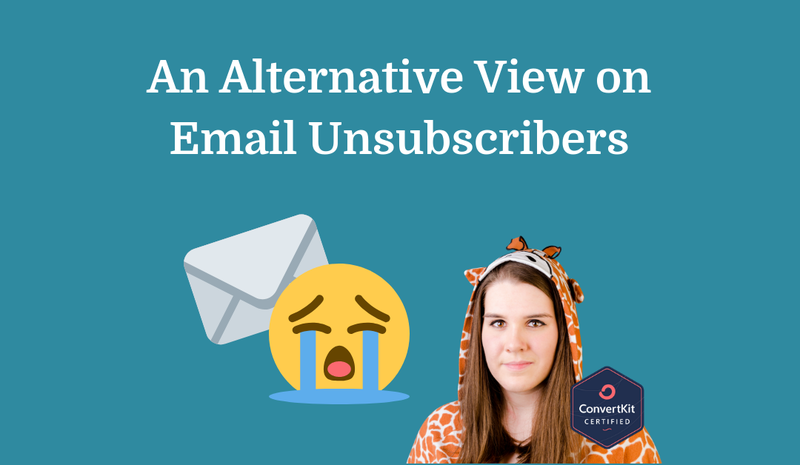 So there we go – 2 totally legit reasons why you don’t need to freak the f out every time you get an unsubscriber. Get your message and content out there – through all the channels. Trust that the people who need you will hear it, where they need to hear it.